OSMO Hair are kindly giving away all three gift sets to one lucky winner! 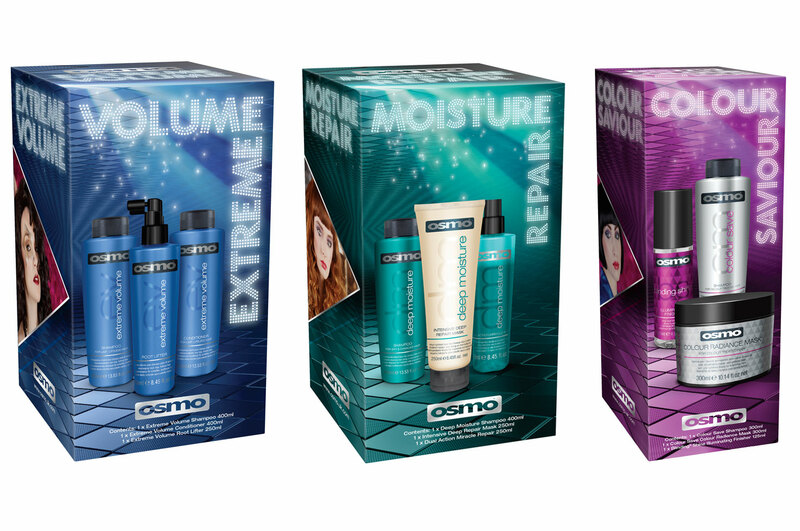 The Extreme Volume Gift Pack, including the Extreme Volume Shampoo, Conditioner and Root Lifter. The Moisture Repair Gift Pack, including the Deep Moisture Shampoo and Conditioner, and the Intensive Deep Repair Mask. The Colour Saviour Gift Pack, including the Colour Mission Colour Save Shampoo, Colour Mission Colour Radiance Mask and the Blinding Shine Illuminating Finisher. To win this fantastic trip of gift sets worth over £50, just enter via the Rafflecopter widget below! This giveaway is open internationally, and it will run for four days only. Good luck! I’ve wanted to try these. I’m always changing the color of my hair so both the co l ir saviour and moisture repair would be great. My mom could really use some volume. Thank you! This looks a fab range, never tried them before. Amazing giveaway, thank you so much!! Wow ~ you are really rocking these giveaways!! I still have my fingers crossed! Thanks! The radiance mask sounds great! Merry Christmas?? Love trying new shampoos, enough to give away to family too. What a great selection of hair products.